As some of you probably know, I’ve agreed to do a public speaking event in a few weeks time and am knee-deep in all the research and preparation at the moment. Of course, I’m a little (!) nervous but apart from the usual fears of embarrassment and making mistakes etc, my biggest fear is not being able to put across the really important message that I want to convey, in an engaging way. I’m talking at the Public Health and Primary Care Event at the NEC on the 21st May about the work that we do at the clinic with unsettled babies to a group of GPs, midwives, consultants etc. They estimate about 800 in the audience! It’s a subject that I know well and that I’m passionate about but how do I convey that? Part of my research has been watching a variety of TED talks, which I love. They show the best public speakers at the top of their game, talking about subjects that are diverse and often abstract, but always extremely interesting. Richard has been wonderful with my son whom I took for Osteopathy work when he was just 10 days old. I wanted to have my son checked for lasting effects following his ventouse delivery. I have since had follow up appointments (at my request not at Richard’s suggestion) three times over the last four months to help my son with Colic, constipation and most remarkably of all, for difficulties with breastfeeding. My son had tensions in one side of his jaw which was making it incredibly difficult for him to fully open his jaw and exacerbated symptoms of a “slight” posterior tongue tie; Richard worked wonders with this and as a result my son began opening his mouth fully and latching far better than he had done previously, thus avoiding surgical procedure for his tongue tie correction. Richard has been very attentive, gentle and understanding with my son and I have seen him relax completely on Richard’s table which is absolutely fantastic. I can’t recommend Richard highly enough with his work with infants. 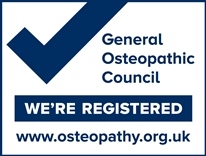 If you’re interested in our treatment of babies, why not visit our Osteopathy for Babies page and see how we could help. I’ve been treating young babies for a while now to help with a variety of symptoms, with really good results. Here’s a testimonial from Jacob’s mum, a 10 week old who had really severe reflux. 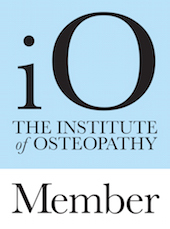 To develop my knowledge and skills further, I’ve recently completed the Foundation Course from the Rollin E Becker Institute, specialists in cranial osteopathy. It was an absolutely fantastic course, taught by really knowledgable tutors in an engaging and enlightening way. Cranial osteopathy is an amazingly gentle treatment, focussed on the delicate and small yet massively important movement of the bones, membranes, ligaments and muscles around the head and sacrum (part of the pelvis). Restrictions in the movements of these tissues as a result of unusual positioning of the baby during pregnancy, long labour or assisted birth can contribute to feeding and sleep difficulties in the newborn which present themselves as a restless or unhappy baby. Gentle treatment using the cranial osteopathy approach can be really helpful with these symptoms. If you’d like to know more about how cranial osteopathy could help your child, give me a call on 07990 548 519 and I’d be delighted to talk it through with you.